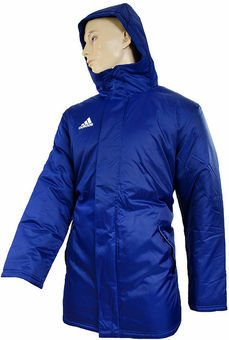 Winter jacket with a warm filling the stadium. Side pockets accommodate various trinkets. The hood protects the head against the wind.